We’re feeling the magazine love a little extra this summer! 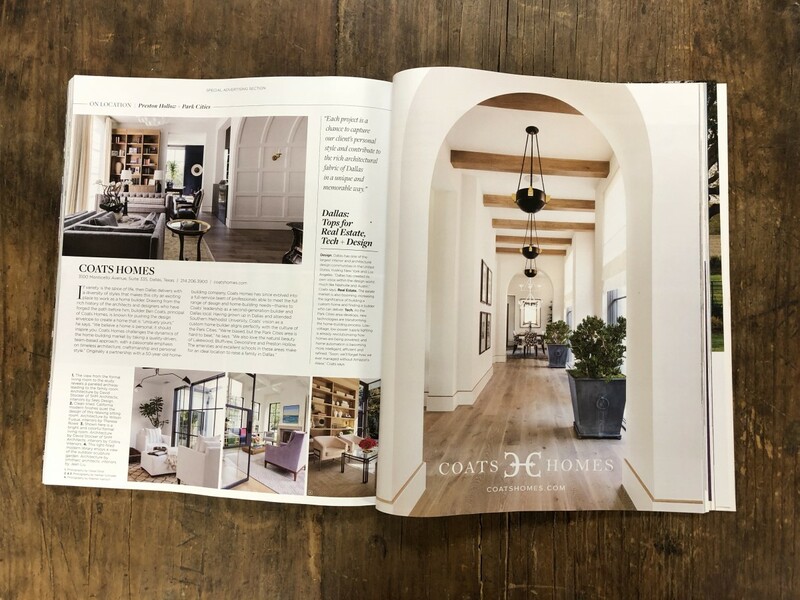 Head to your nearest newsstand because Coats Homes is featured in not one, not two, but THREE major architecture and design publications this month: D Home, Elegant Home, and Luxe. 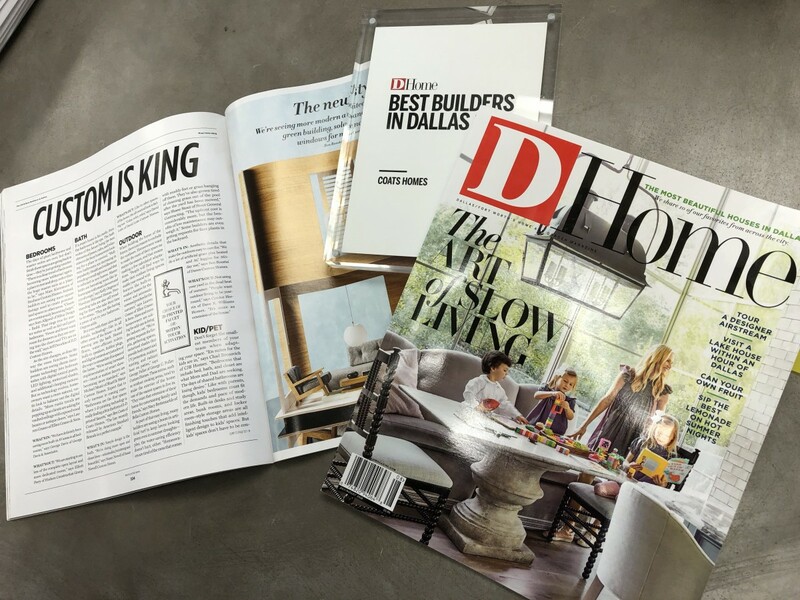 Three D Home feature stories in the last two issues cover Coats Homes projects, and in the May/June issue, we were also announced as a D Home Best Builder for the 5th year in a row! Our recently completed project on Cornell is THE feature story of the July/August issue of D Home, and we couldn't be happier to see our clients in their beautiful new home on the cover. For more, check out the full article, “At First Sight.” But that's not all! Our president, Ben Coats, his wife Jen, and their five adventurous children also made an appearance in a story about their summertime travels in a remodeled Airstream. Rewinding to the May/June issue, you won't want to miss the feature story, “The Home of the Future," in which industry insights from our president, Ben Coats, and other home building professionals abound, covering topics ranging from general trends in kitchen design to unique custom elements like dog-washing stations. 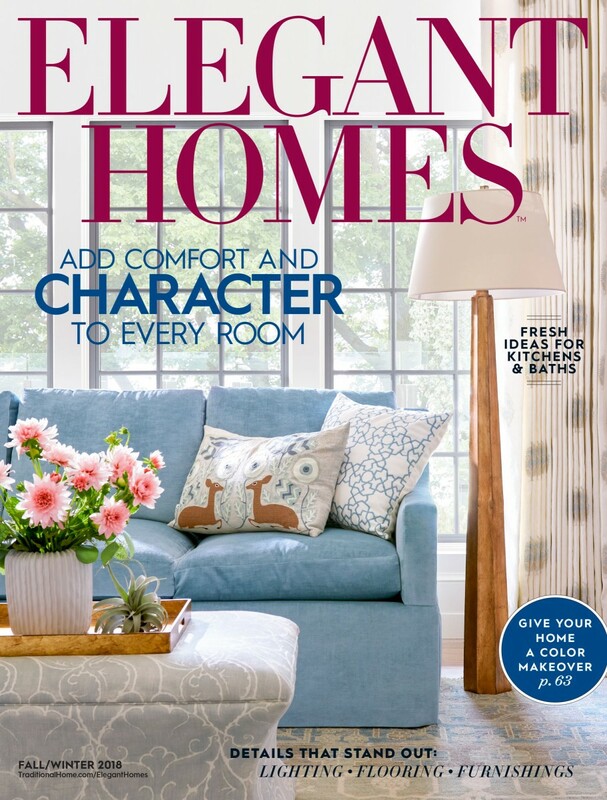 Thanks to Elegant Homes, this month Coats Homes projects are on the cover of two magazines at once. The cover story in this Traditional Home sister publication is all about our project on Windsor Parkway, a Dutch Colonial/Cape Dutch home glowing with that inexplicable feeling of Southern hospitality. What are you waiting for? Grab a copy and flip to page 16, "Redefining History." Finally, in the Dallas-Fort Worth July/August publication of Luxe, check out the "On Location: Preston Hollow & Park Cities" section for a full profile on Coats Homes. Can you spot the two pictures from our project on Cornell, the home that also happens to be on the cover of D Home right now? What's your favorite architecture and design magazine? Let us know on social media!